What could be better than a USB Flash Drive created by no other than the two giants in the computer industry? 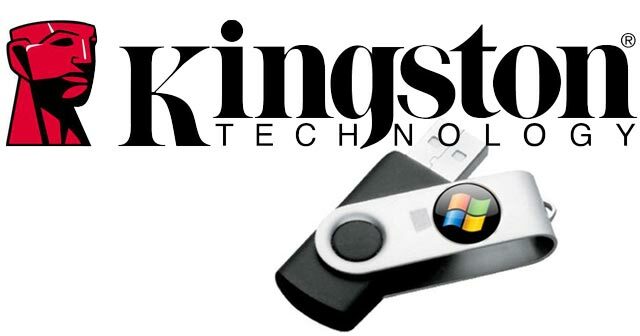 Kingston Digital, Inc., the Flash memory affiliate of Kingston Technology Company, Inc., the independent world leader in memory products, and Microsoft, world’s largest software maker, have joined forces to come up with a Windows To Go compatible USB Flash drive. Kingston® DataTraveler® Workspace USB Flash drive is a unique external USB 3.0 device capable of SSD-like performance and achieves all Windows 8 certification requirements. As we all know, Windows To Go is a new feature in Windows 8 Enterprise which allows enterprises to provision a full corporate desktop on an external USB drive. To put it more simply, companies need not worry anymore that there would be a conflict with their operating system with that of their employees when the latter bring their own personal device or hardware in their workplace – the most common thing happening nowadays. You see, with this new Windows to Go feature, users can now boot and operate from multiple PCs, making it particularly useful for enterprise environments that want to use Windows To Go to support their mobile workforce and contingent staff. With an aim to enable mobile work styles and make life easier for everyone, Kingston and Microsoft came up with a Kingston® DataTraveler® Workspace USB Flash Drive that is fully bootable. This new USB Flash Drive enables users to easily access their enterprise system from a portable device. As of the moment, Kingston has a beta version of the drive available for enterprises or organizations in need of evaluating the Windows To Go feature of Windows 8 Enterprise. Still not yet convinced how great this new Kingston® DataTraveler® Workspace USB Flash Drive is? Genesys Logic, Inc. has made sure that the Kingston® DataTraveler® Workspace USB flash drive is compatible and can boot from the latest systems. At the same time, LSI Corporation also helped ensure that the forthcoming USB Flash drive, together with their SandForce Flash Storage Processor, meets the performance requirements of Windows To Go. On the other hand, Kingston promises to give users the performance and endurance required to deliver a great experience when running Windows 8 Enterprise from a USB Flash drive. Kingston® DataTraveler® Workspace USB Flash drive is set to be released October of this year. What more can you ask for? Well, maybe that October comes sooner than you can imagine. This entry was posted in Articles, Kingston Technology, SuperSpeed USB 3.0, USB 3.0, USB 3.0 Flash Drives and tagged Kingston, Kingston Technology, Kingston USB 3.0, SuperSpeed USB 3.0, USB 3.0 for Windows To Go, Windows To Go. Bookmark the permalink.